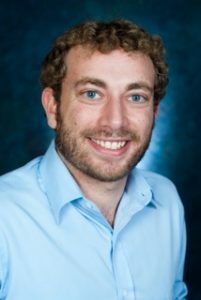 Gregory Hersh, who graduated the Reconstructionist Rabbinical College this past June, began serving as Rabbi of Temple Emmanuel in August, 2016. Greg is an energetic, sincere and creative person who brings dynamic leadership to Temple Emmanuel. He has been making connections in the Boston and greater Boston area with other Jewish organizations. Greg is aware of our strong ties to the local community and is active in the Interfaith Clergy Association of Wakefield. Greg grew up in Connecticut and earned his BA in Philosophy and Religion at George Washington University. After college, setting out to further bridge the gaps between Eastern and Western thought, Greg traveled to Southeast Asia where he taught English, lived in a Buddhist monastery, and explored other Eastern philosophies. The following year was spent in Jerusalem before applying to the Reconstructionist Rabbinical College, where he is now in his final year of studies. Since starting at RRC in 2010, Greg participated in Tom Brown’s Tracker School which gave him a deeper understanding of Native American philosophy and an intractable love of the wilderness. Integrating his passions for Judaism and nature, Greg was certified by TorahTrek as a Jewish Wilderness Guide in 2013. As the student interim rabbi at Kehillath Shalom Synagogue in Cold Springs Harbor in New York, Greg brought all his passions to his work as he pushed each individual to grow into the best version of themselves. As a Rabbi, Greg will be able to combine his many interests such as music, teaching, and history to his work.